The Orange Mud Endurance Pack is ideal for mountain biking and running. 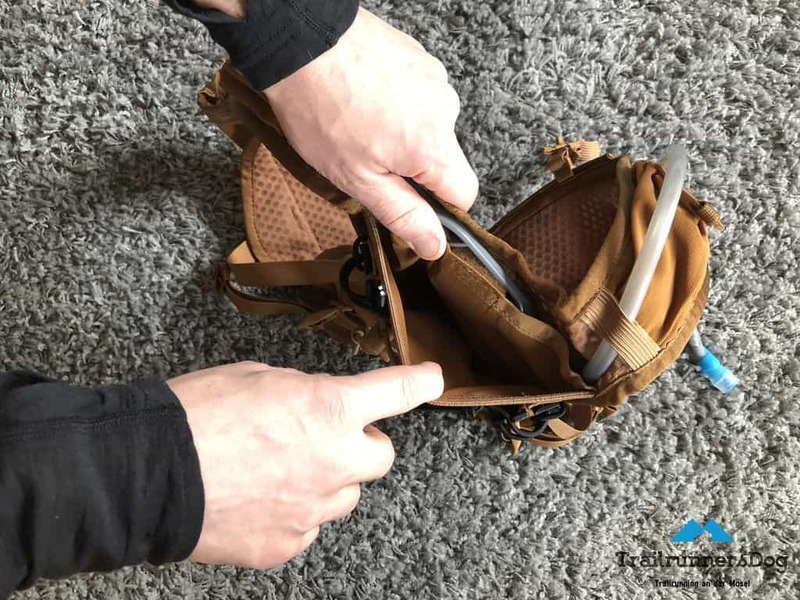 With 6 litres of storage, a 2 liter bladder and the possibility to store up to two 600 ml of Softflask in the chest pockets, the Orange Mud Endurance Pack is a welcome alternative to the popular packs on the market. My Orange Mud Endurance Pack comes in an extraordinary brown. “Coyote Brown” calls Orange Mud the color, a real eye-catcher! 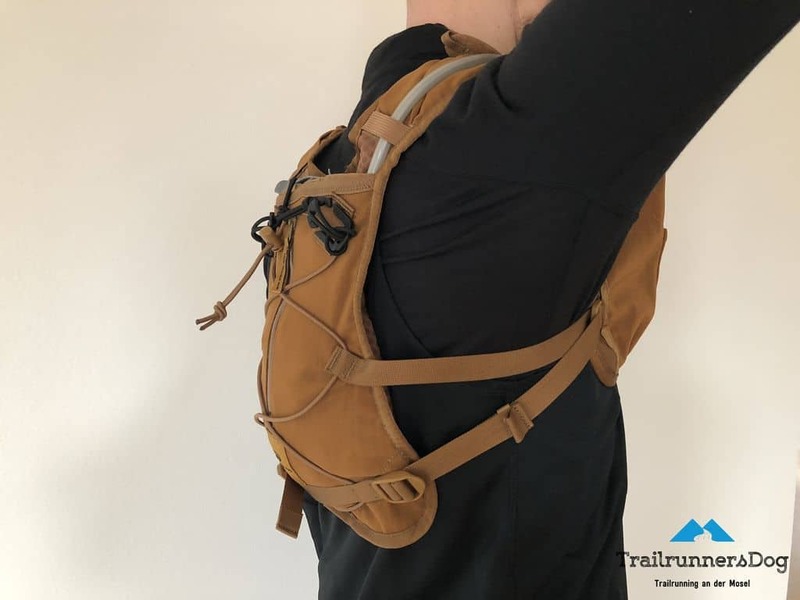 The Orange Mud Endurance Pack feels light and pleasantly soft and offers the familiar pocket concept. The edges are neatly sewn and everything looks very solid. The Orange Mud Endurance Pack is available in a one size and fits both large and small people. The back part sits very high on the back as usual, thus ensuring a stable fit. The high seat helps to keep the lower back free and to ensure the heat regulation. The two chest straps are fully elastic and adjustable in height. 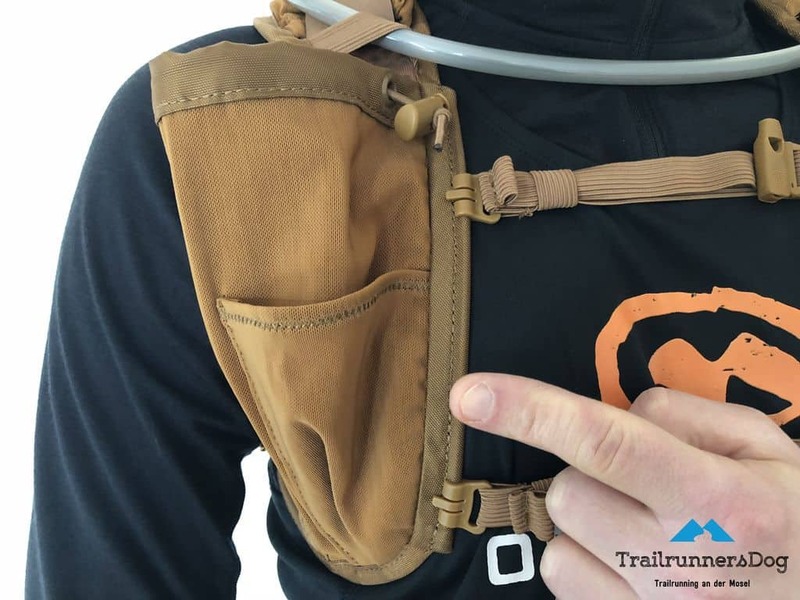 Due to the elasticity of the chest straps, the Orange Mud Endurance Pack offers sufficient breathing freedom. With the help of the two lateral straps, the Orange Mud Endurance Pack can be adapted to almost any body shape. One of the outstanding features of the products of Orange Mud is their longevity and robustness, while minimizing the weight. Josh designed each pack basically for a possible 100 miler and his claim is that his pack is the last thing that could prevent a finish. The materials used by Orange Mud are light, breathable and robust to the same. The Orange Mud Endurance Pack is no exception. Each yarn and every fabric the Orange Mud handles meets the military standard of the US Army. 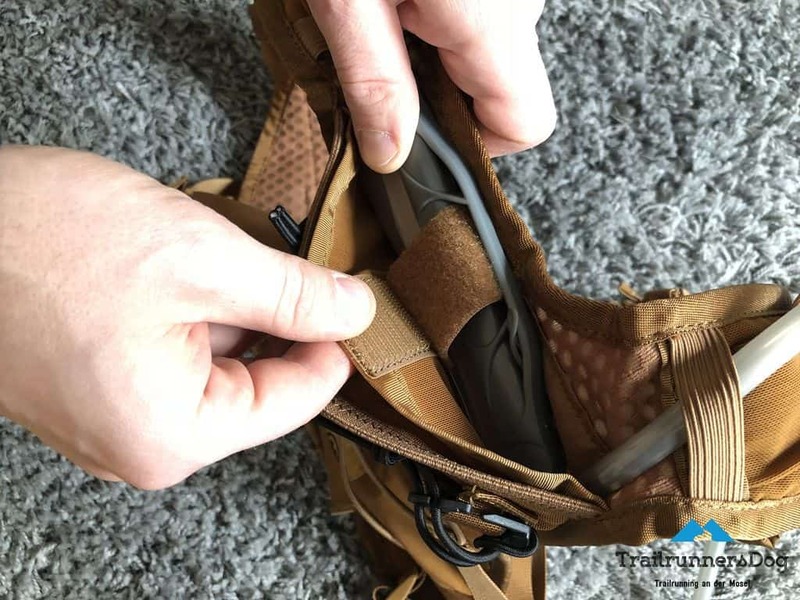 Every important seam on the Orange Mud Endurance Pack is redundantly designed to ensure that the function is still given if one seam breaks. The pleasantly soft back pad guarantees a good breathability. The Orange Mud Endurance Pack has 9 pockets and compartments. 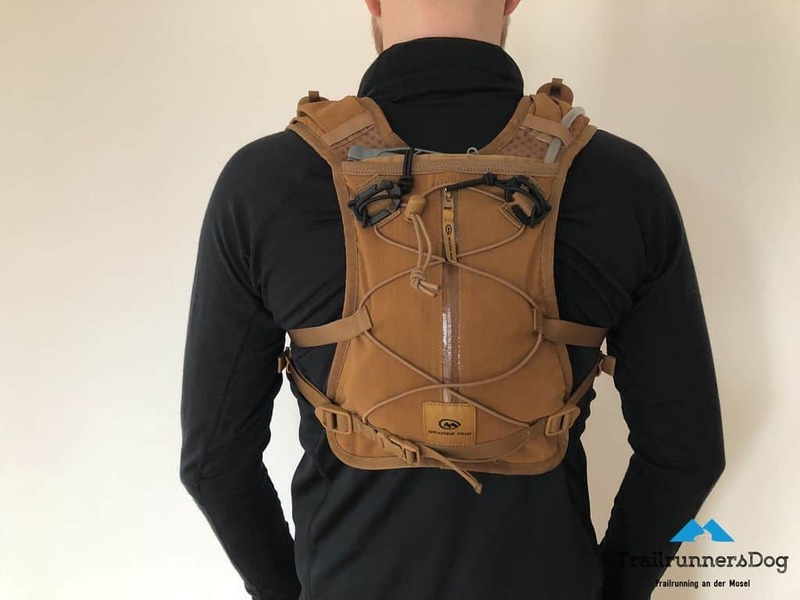 On the back is the main compartment for the bladder, so that besides the liquid also equipment like a weather protection jacket has its place in the Orange Mud Endurance Pack. 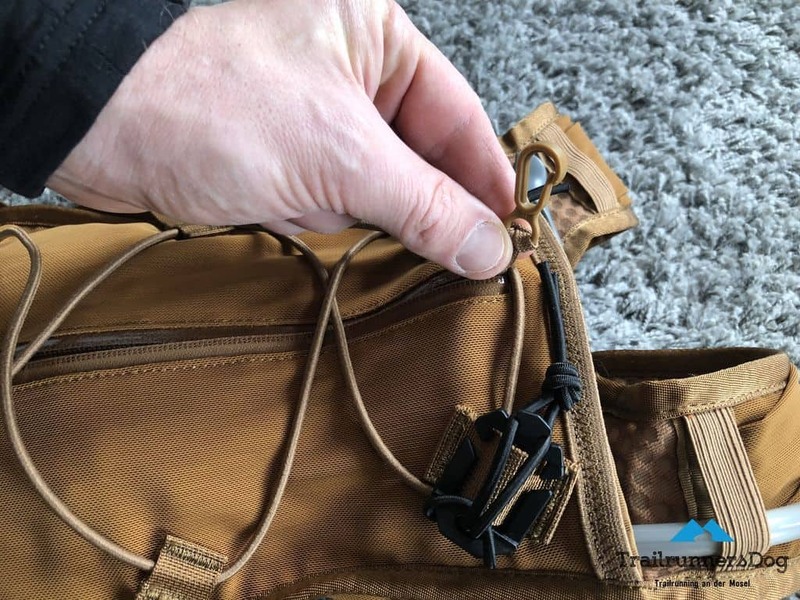 The large, attached compartment on the back is closed by a YKK zipper and offers room for identification papers, a first aid kit or other stuff. The integrated key clip prevents you from losing your key. 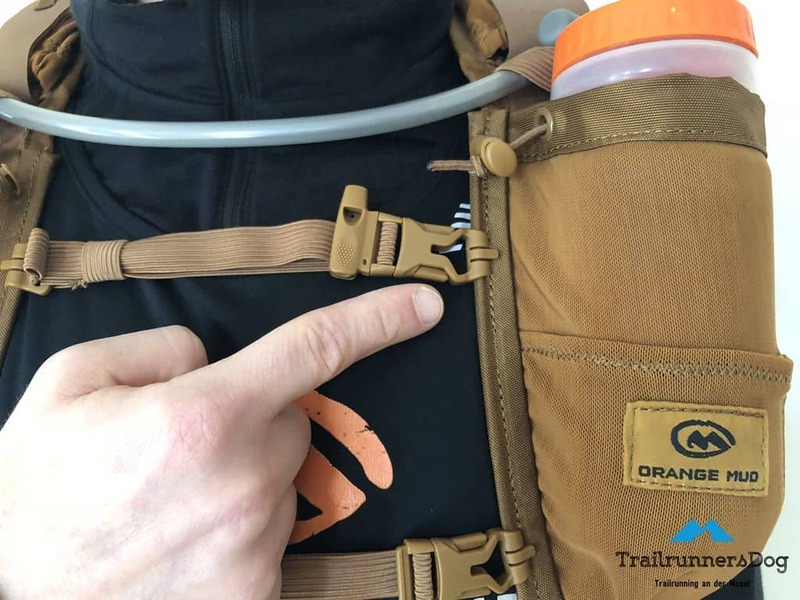 On the shoulder of the Orange Mud Endurance Pack, you can find the well-known and proven packets that can be closed with velcro. There, things fit like a smartphone (personal to iphone 10 plus tested), latches, sunglasses or sun protection cream. The bite valve of the hydration bladder is easy to operate. Optionally available, are the fasteners for poles. The fastening system for poles at a glance. 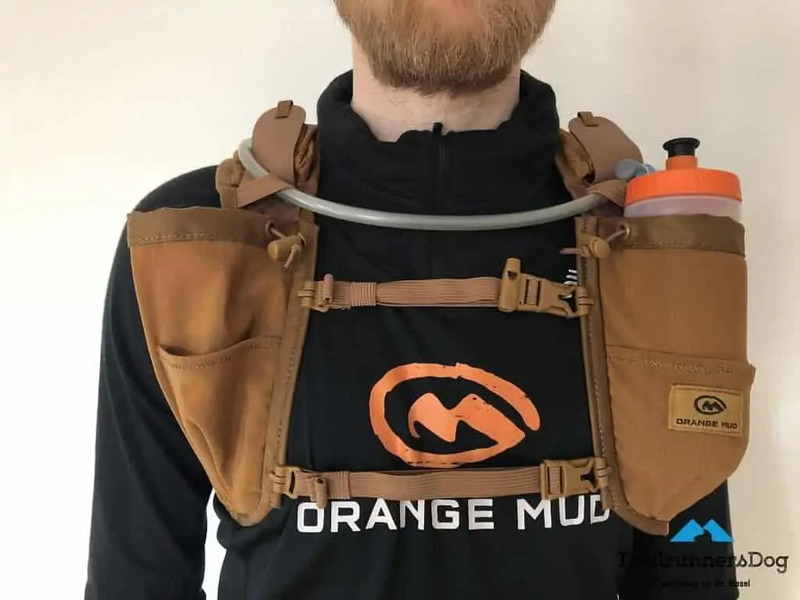 The two large front pockets of the Orange Mud Endurance Pack fits softflasks up to a volume of just over 600 ml without any problems. One shockcord closes the pockets if necessary. On the large chest compartments are two smaller pockets, in which one can accommodate, for example, its empty gel or latch packaging. #cleanyourtrails! In my eyes, the competition will fear the Pack. the Orange Mud Endurance Pack is a real and individual alternative to the usual packs in the 4-6 litre class on the market. 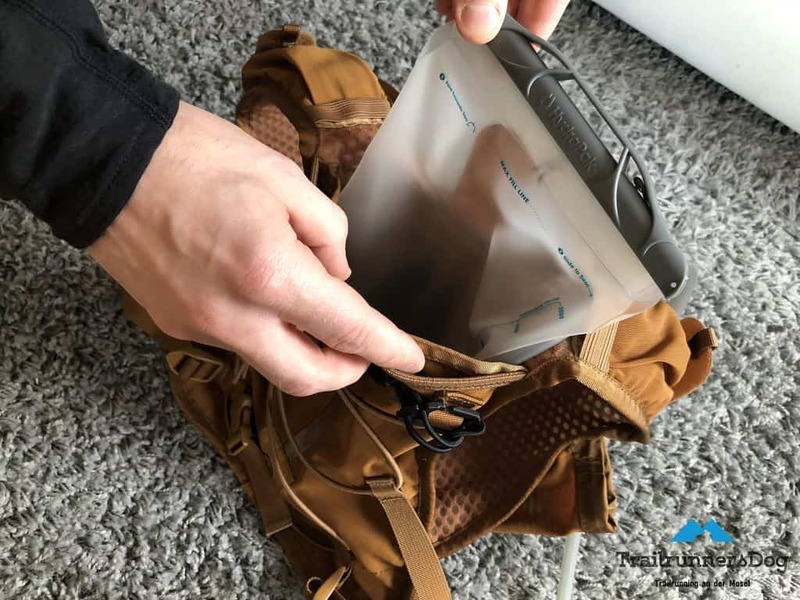 Whether on a bike, while hiking or on a long run, the Orange Mud Endurance Pack is a reliable companion, which can also take something and does not break immediately if you have to beat through the undergrowth. 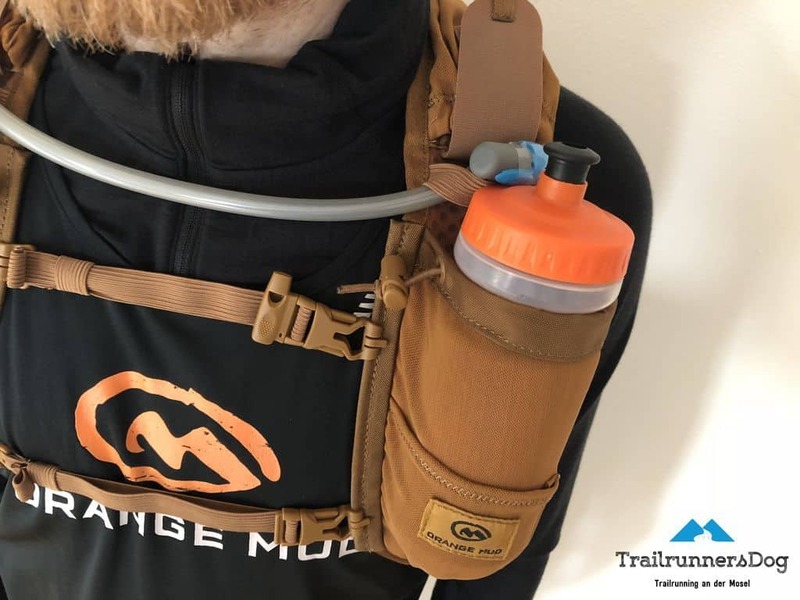 The Orange Mud Endurance Pack with attachment system for running poles. Das angenehm weiche Rückenpolster garantiert eine gute Atmungsaktivität. The Endurance Pack comes with a 2 liter hydration bladder. The key clip prevents you from losing your key. The large front pockets hold water bottles up to 620 ml.